The common adage goes that ‘it is better to be safe than sorry’- that was the advice some of the young actors in the new Singapore-Malaysia horror film ’23:59’ were reminded of when they first told their family that they were going to be flirting with ghosts. First-time Singaporean actor Lawrence Koh said: “When my mother found out that my first film project would be a ‘ghost’ movie, she went ‘Don’t want lah. I don’t want you to act in that movie’.” He was not alone- Malaysian singer/ actor Josh Lai also found that his family members were less than enthusiastic about his participation in the army-based ghost story. Josh was in town together with his three other Malaysian co-stars- Henley Hii, Tedd Chan and Tommy Kuan- last week to promote the movie, which marks the solo directorial debut of local filmmaker Gilbert Chan. Chan, who reportedly took ten years to finish the script, based the story in part on local folklore of his Basic Military Training days in Pulau Tekong and an original story he coined up. In the end, they needn’t have worried- when asked if there was anything unusual that happened on the set, all the cast had to share were some rumours of voices heard from the third cubicle of the male toilet at the army barracks they were shooting in. But the intrepid Henley who went to investigate said it was no more than… rumours. And because they had no help from the supernatural, the actors had to rely on their own hard work to make sure that the intended scary scenes looked genuine. For Josh, that meant swallowing a piece of religious paper seven times for a scene where he was supposed to be possessed. That wasn’t the worst of it- the actor was also supposed to resist the rest of his platoon mates holding him down to the bed for another scene, and for that, he had to go for acupuncture to relieve the pain afterwards. Henley also said that this would probably be his most memorable film, the price of his dedication the wounds he sustained during the shoot. He described a scene where he was supposed to roll down a forested slope- which he decided to attempt five times on his own, refusing to let an extra stand in for him. That bravado left him with bruises and blood on his back, which he did not let Gilbert know until after his director was satisfied with the take. Of course, their commitment would not have been possible had they not personally believed in this movie. 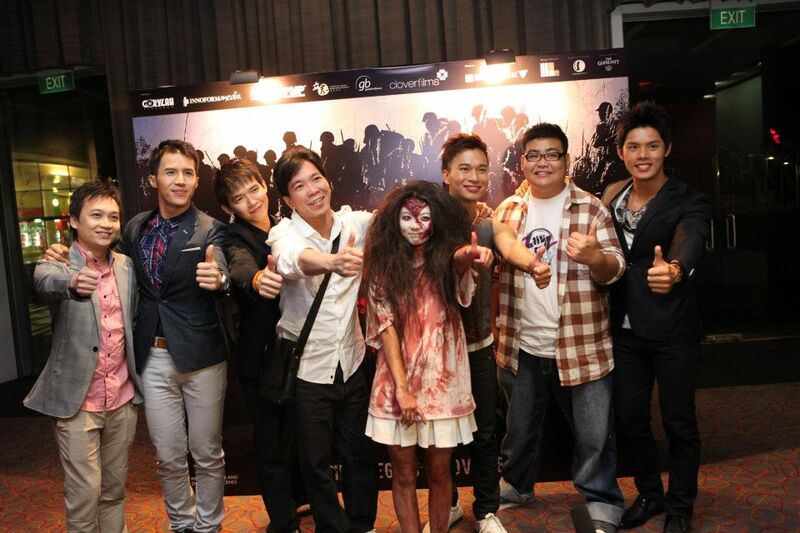 Henley said that a good horror should have an emotionally satisfying conclusion- like the recent Thai horror ‘Laddaland’- and he thinks that ’23:59’ will have a similarly powerful effect on audiences. For Lawrence, a good horror film should be able to surprise its audience- just as how he felt after he had seen ‘The Ring’. “I think this is what makes ’23:59’ so good to me, because there are lots of surprises along the way and lots of space for the audience’s imagination,” he said. Despite the nature of the subject matter, it wasn’t all grim and sober during the filming- rather; the actors said that they enjoyed themselves both on and off the set. Tedd, Henley, Josh and Tommy already knew each other beforehand, so it was a gathering of sorts among friends. And when Lawrence joined, it was just one more for the gang. Besides their brotherly company, Lawrence also found something 'special' had something going with a female member of the crew (that is, according to the rest of the cast). And if everything else fails, there was always the seasoned comedian Mark Lee to crack things up. As with his onscreen persona, the veteran ‘Ah Beng’ brought his signature personality to bear on the set- and the young cast enjoyed every minute of it. If that is the experience to be gained from being less than a little careful, we're betting they will be willing to throw caution to the wind all over again to be a part of '23:59'. Read our review of 23:59 here.